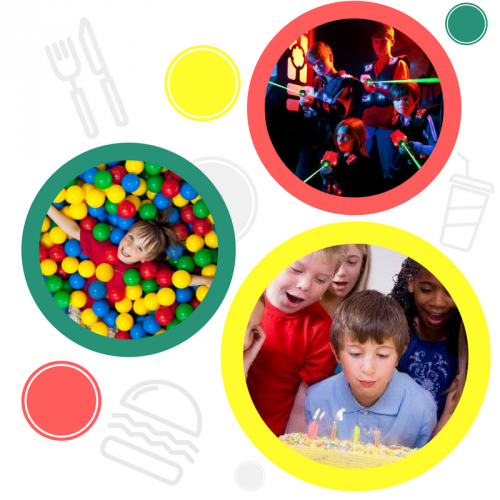 Followed by your food party with hats, balloons and ice cream in 1 of our 3 specially designed party rooms. We also offer the birthday child a gift voucher to return again. 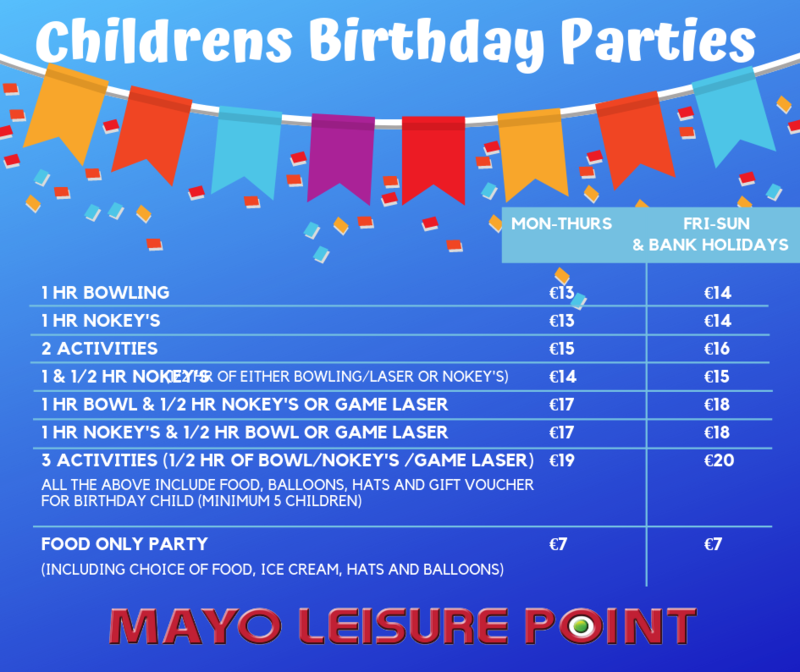 Parties can also include a visit to Mayo Movie World, with food parties available in the Movie Bowl Diner. Easy to book, no mess, no worries, no cleaning up!! Parties can be arranged for 1 activity or for a combination of activities.